Dr Swee Tan congratulated 20-year-old Deane Endowment Trust sponsored summer student Sabrina Koh for winning the 2017 International Dupuytren Award in the basic science category – the top accolade awarded by the International Dupuytren Society. Her research has also been published in Plastic and Reconstructive Surgery Global Open, the most prestigious plastic surgery journal in the world. “Dupuytren’s disease causes one or more fingers to curl into the palm due to the contracting and toughening of connective tissue. While surgery is commonly used to remove the contracted tissue, it involves prolonged periods of rehabilitation and readily recurs in some patients. In extreme cases it may necessitate amputation,” said Dr Tan. While this disease is still poorly understood and treatment is not ideal, it affects millions of people worldwide, particularly those of Northern European descent. High profile sufferers include Bill Nighy, who spoke about his condition on Radio New Zealand’s Saturday Morning programme. Dr Tan acknowledged Sir Roderick Deane and Lady Gillian Deane for their ongoing generous support of the GMRI’s summer student programme that made the Dupuytren’s disease research possible. 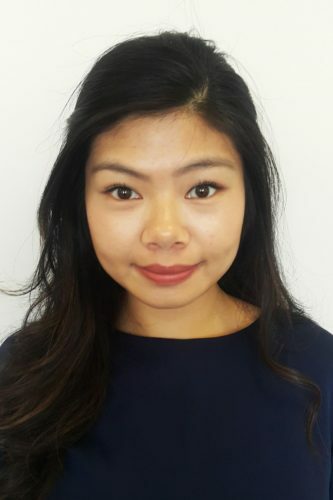 Ms Koh, then a second-year medical student from the University of Otago, was supervised by GMRI Chief Scientific Officer Dr Tinte Itinteang, and the team included plastic and hand surgeon Dr Jim Armstrong, Dr Swee Tan, Dr Paul Davis, Dr Helen Brasch, and summer student Nicholas On.